Theses and dissertations are known to be the rich and unique source of information, often the only source for research work that does not find its way into various publication channels. Doctoral dissertations are manifestation of result of four to five years of intense work involving huge investment of resources, both mental and physical and infrastructure and other support from the universities. A thesis reflects quality of research work conducted by a student and the ability of an institution to lead and support original work of research in a given discipline. As per the UGC Regulation on M.Phil/Ph.D, the responsibility of hosting, maintaining and making the digital repository of Indian Electronic Theses and Dissertation (Shodhganga) accessible to all institutions and universities is assigned to the INFLIBNET Centre. The Networked Digital Library of Theses and Dissertations (NDLTD) is an international organization dedicated to promoting the adoption, creation, use, dissemination, and preservation of electronic theses and dissertations (ETDs). The site supports electronic publishing and open access to scholarship in order to enhance the sharing of knowledge worldwide. The website includes resources for university administrators, librarians, faculty, students, and the general public. Topics include how to find, create, and preserve ETDs; how to set up an ETD program; legal and technical questions; and the latest news and research in the ETD community. As the open access movement grows and prospers, more and more repository servers come into being which use the “Open Archives Initiative Protocol for Metadata Harvesting” (OAI-PMH) for providing their contents. BASE collects, normalises, and indexes these data. BASE provides more than 30 million documents from more than 2,000 sources. You can access the full texts of about 75% of the indexed documents. The Index is continuously enhanced by integrating further OAI sources as well as local sources. Our OAI-PHM Blog communicates information related to harvesting and aggregating activities performed for BASE. BASE is a registered OAI service provider and contributed to the European project “Digital Repository Infrastructure Vision for European Research” (DRIVER). Database managers can integrate the BASE index into your own local infrastructure (e.g. 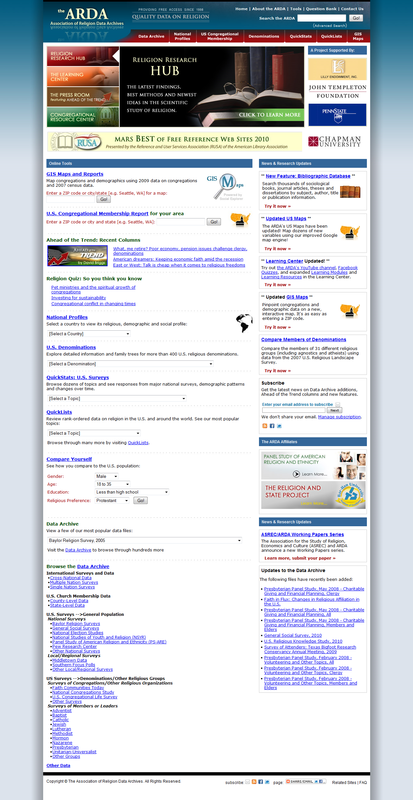 meta search engines, library catalogues) via an interface. Discloses web resources of the “Deep Web”, which are ignored by commercial search engines or get lost in the vast quantity of hits. Browsing by DDC (Dewey Decimal Classification) and document type. The Centre of Theological Inquiry generates ideas with a global impact. They do so by fostering creative individual scholarship in a research environment in which cooperation across disciplines yields genuine advances in understanding. 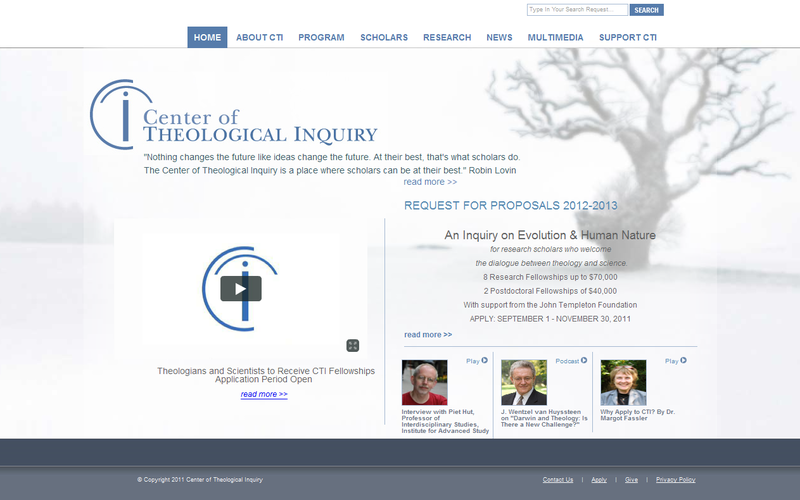 In this way, the Center of Theological Inquiry pursues theological research through interdisciplinary inquiry. The Center is an independent research institution with a visiting scholar program. It is dedicated to outstanding scholars from around the world who welcome their interdisciplinary approach and ecumenical ethos. They devote all their resources to their teamwork on their research agenda, and wider conversation with the academy, congregation, and public. The Anglicans online has a page on theological resources. It has links pertaining to study of religion from an Anglican perspective. The Australian eJournal of Theology (AEJT) is produced under the auspices of the Faculty of Theology and Philosophy at Australian Catholic University. The Faculty of Theology and Philosophy places a high priority on having distinguished scholars from the international theological community on its Editorial Board. 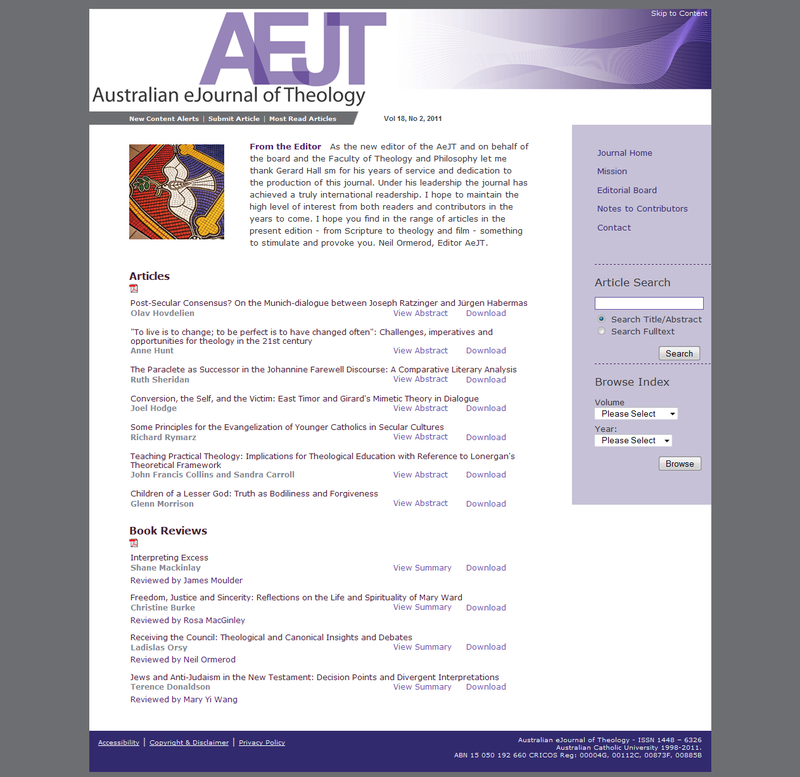 The Australian eJournal of Theology (AEJT) is a peer-reviewed, open access journal published three times a year. It provides a scholarly forum for interdisciplinary, ecumenical and interfaith exploration appropriate to Australian regional connections with Asia and the Pacific, and with the wider international theological community. The Association of Religion Data Archives (ARDA) strives to democratize access to the best data on religion. Founded as the American Religion Data Archive in 1997 and going online in 1998, the initial archive was targeted at researchers interested in American religion. The targeted audience and the data collection have both greatly expanded since 1998, now including American and international collections and developing features for educators, journalists, religious congregations, and researchers. 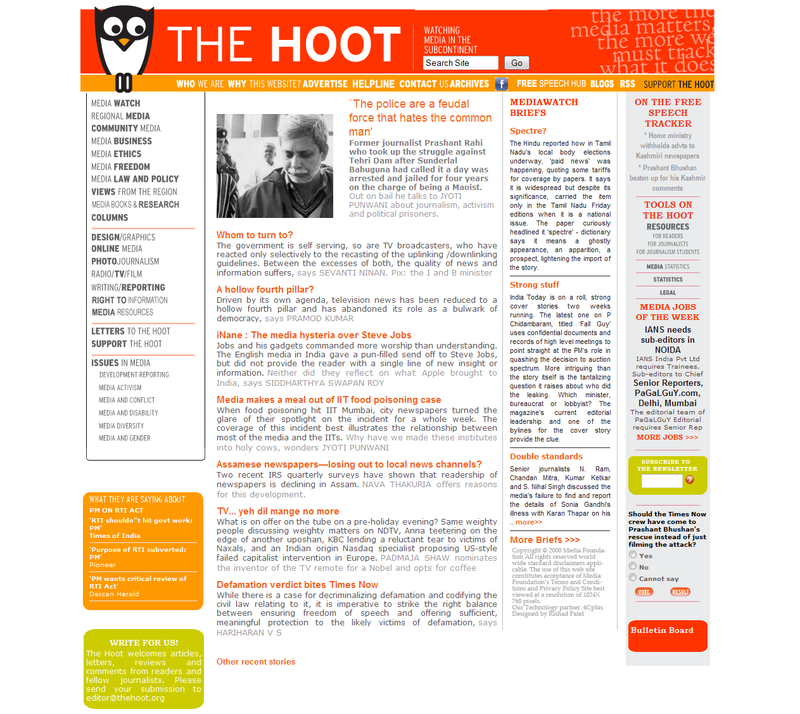 The Hoot is a portal which is the outcome of the concern felt by a group of practicing journalists at some recent trends in journalism. It is an attempt to revive a concern for media ethics, restore focus on development in the subcontinent, and preserve press freedom. It will attempt to hold a mirror to the way journalists practice their craft in this region. It will be devoted to examining issues of accuracy, fairness, right to information, censorship, and the responsibility of the media.. It is aimed at journalists, users of the media including lay readers and viewers, and students and teachers of journalism and communications. Particularly for the last group, as for media professionals, it attempts to bring together several relevant links and readings. It also attempts to provide tools for communities and individuals to interact with the media. 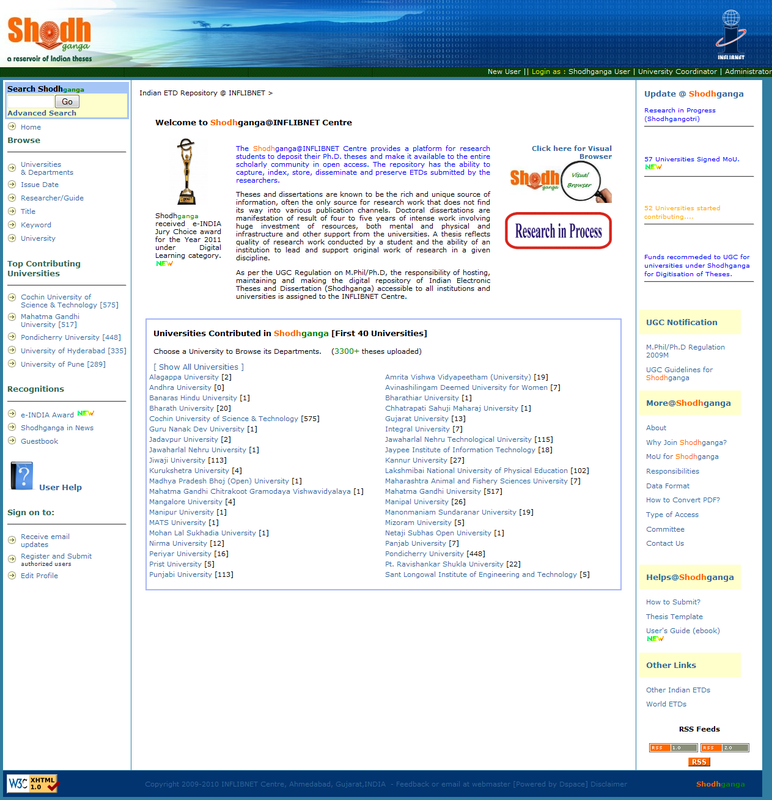 Students of communication in theological colleges can make use of this site. This open access journal publishes essays, columns, critical reviews, bibliographic essays, and peer-reviewed articles on all aspects of professional librarianship in the setting of a religious/theological library collection (whether or not that collection comprises the entire library collection) and interaction with faculty and administrators engaged in religious/theological education. The primary intended audience includes professional librarians in colleges, universities, and theological seminaries and others with an interest in theological librarianship in those settings. 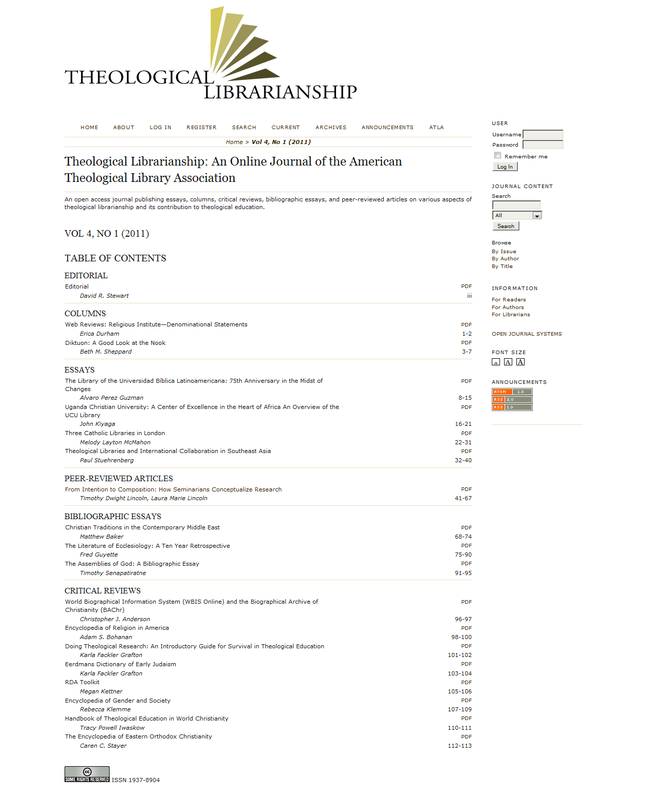 The purposes of the journal are: to foster the professional development of theological librarians, and to contribute to and enrich the profession of theological librarianship.